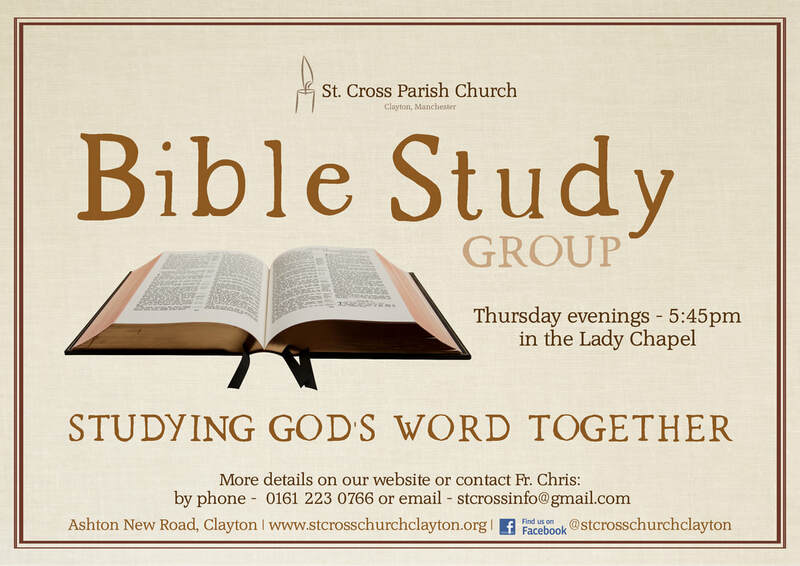 Our weekly Bible Study Group meets on Thursdays at 5:45pm in the Lady Chapel at St Cross. The first eight sessions of our study group were designed to help participants understand the Bible for themselves. Over these eight sessions we looked at the big picture of the Bible storyline – from Genesis to Revelation. Along the way participants picked up tools and skills to help them read the Bible for themselves. Each of these first sessions was interactive, with sections of teaching, discussion time and personal reflection. Between sessions there were daily readings to prepare for the following week. By the end of the eight-week course participants had the confidence to pick up the Bible, read it for themselves and apply it to their lives. After this initial introduction is over, it is envisaged that we will move into a particular way of reading the Bible – a spiritual reading – which is often called Lectio Divina. Lectio Divina is often described as a ‘particular way of listening to what the Lord wishes to tell us in his word and letting ourselves be transformed by the Spirit’. The passages we use during these sessions will be taken from the lectionary. We look forward to seeing you there and studying God’s word together.